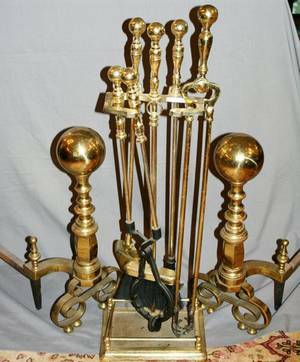 Red tole bread tray, 19th c.
Group includes two brass metal andirons with large ball or orb at top above inverted tapered shaft, a fire fender of rectangular form with two horizontal bars running form with six metal spindle forms, and a set of fire tools comprising of a shovel, poker, and brush in a brass metal stand with matching motif as fire fender. 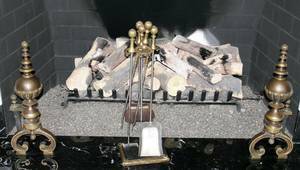 Fire fender height 7.25 inches, width 47.5 inches, depth 12 inches. 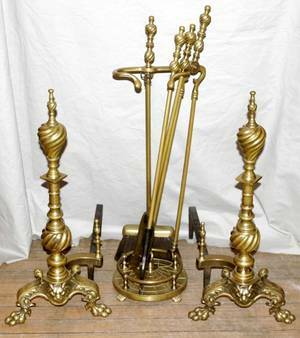 Andiron height 20.5 inches, width 7.5 inches, depth 18.25 inches. 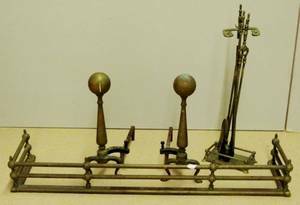 Height of fire tool holder 30.5 inches. 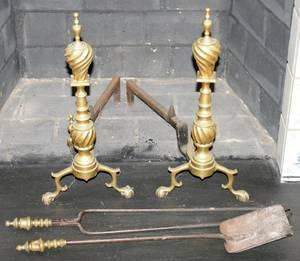 090310: BRASS ANDIRONS & FIRE PLACE TOOLS 8 PCS. 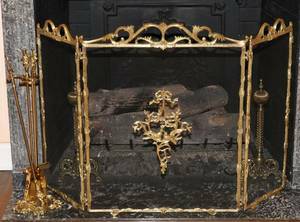 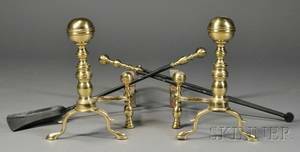 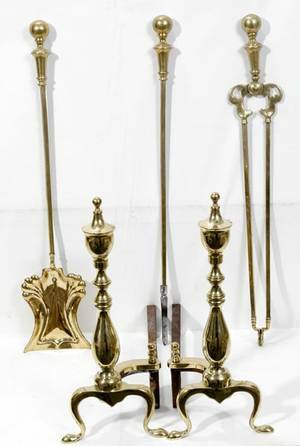 042206: BRASS ANDIRONS & FIRE TOOLS, C. 1900, H 24"